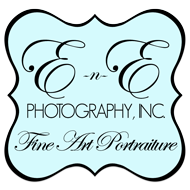 For the 7th year in a row, Certified Professional, Master Photographer, Erin L. Clark, has merited a minimum of three images at the International Photographic Competition with Professional Photographers of America. Every year, she strives to create 4 images deemed worthy of the 12 Elements of a Merit with the ultimate goal of having those same images scoring high enough and chosen for the BEST of the BEST in the prestigious Loan Collection. 2017 is a good year for Erin - with all four images meriting for the 3rd year in a row - and one selected for the Loan Collection - that will be published in a book with the Best of the Best photographer's images. With 3 Merits & 1 Loan - she has been awarded the SILVER MEDALIST Photographer through PPA. Erin is thrilled that all four images merited - Every year, she aims to enter one pet and one senior image- This year,"Welcome to my Parlor" was a senior portrait, another was a child's portrait playing a bass violin "The Virtuoso", with the final 2 images merited being pet portraits. The sweet puppy portrait, "Simply Irresistible" selected for the Loan Collection and will be published in a book displaying all the Loan Collection images - proudly, all were client images. Earning such a distinction is no easy feat; hundreds of photographers submit multiple photographs, spanning different categories in hopes of earning at least one spot in PPA’s esteemed Loan Collection. There were over 5800 entries with only 650 of those selected for the Loan Collection. All accepted images will also be on display at the International Photographic Exhibition at Imaging USA, held in the Gaylord Opryland Resort & Convention Center in Nashville, TN, Jan. 14-16, 2018. Certified Professional Master Photographer, Erin Clark, spends several weeks each year in the Pacific Northwest. The rest of the year, she resides in the city of Virginia Beach with her retired US NAVY, husband, Erin (the other 'E' in E-n-E), their son, three pups & 2 cats, spending most days at the London Bridge studio. If you are not in the Virginia area and are looking to book a session with Erin in Washington state, check out her current travel dates: AUGUST 22-30th - Sessions are LIMITED and require a reservation fee to confirm time on the calendar. Contact the studio today!